Good website = Good church? The other day over lunch at Ridley I said that if I was church shopping or trying to form an opinion about a church without actually being a part of it I would base it entirely on the website. If the website was cool, I would think the church was cool. If I could make a better website in Microsoft Front Page (does anyone even use that anymore?) then I would probably not rate the church at all. If the church had no website, then I would think they have no idea what life in the 21st Century is all about. When we started the church we invested in a designer to develop our stationary and website. 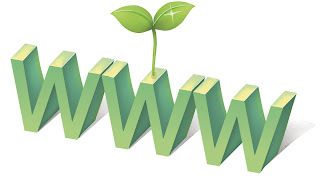 Communicate Jesus mentions this often but a good website will drive bodies to your church! Think about it this way – if you spend $1000 on a website (for example, with Clover Sites) and you pick up one member who gives $20 a week, you pay for that investment in one year…oh and they get eternal life and get to go to heaven. Not only is it important, but it might even pay off, in the future and in the here and now. Note: I say all of this with the realisation that this blog, the HTD Youth Ministry and HTD church at large could easily be accused of having only average websites when compared with the polish of others. Since we're probably moving next year, I've googled 'canberra church' a few times and found some interesting sites! It's fascinating to see what churches put out there - my favorite was a 'ministries' page that proudly stated 'we have a fine set of bells'. That's lovely, but I'm not looking at being part of the bell ringing ministry anytime soon!